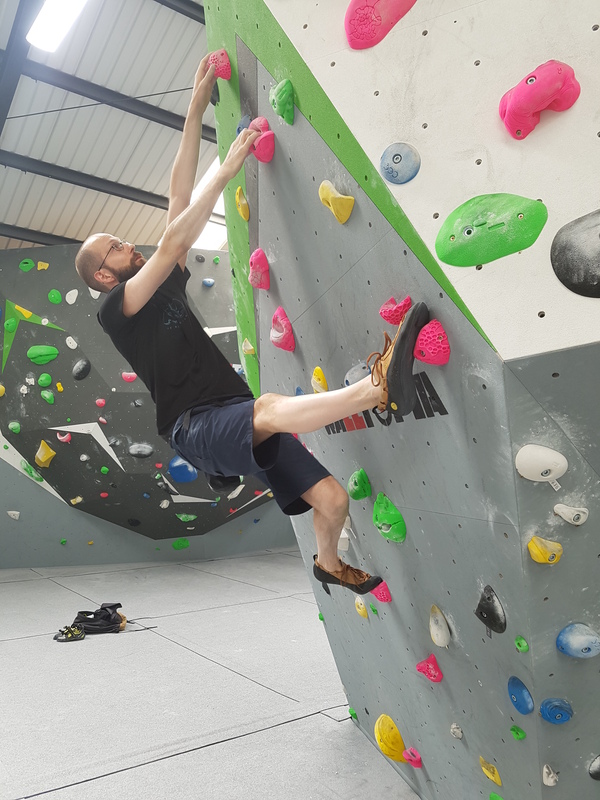 This is the promised update to my post ‘Climbing for Two: to climb or not to climb’ from May 2013 in which I discussed my decision to continue with rock climbing at the same time as growing Baby Van den Hende, currently known to his friends as ‘Bump’. 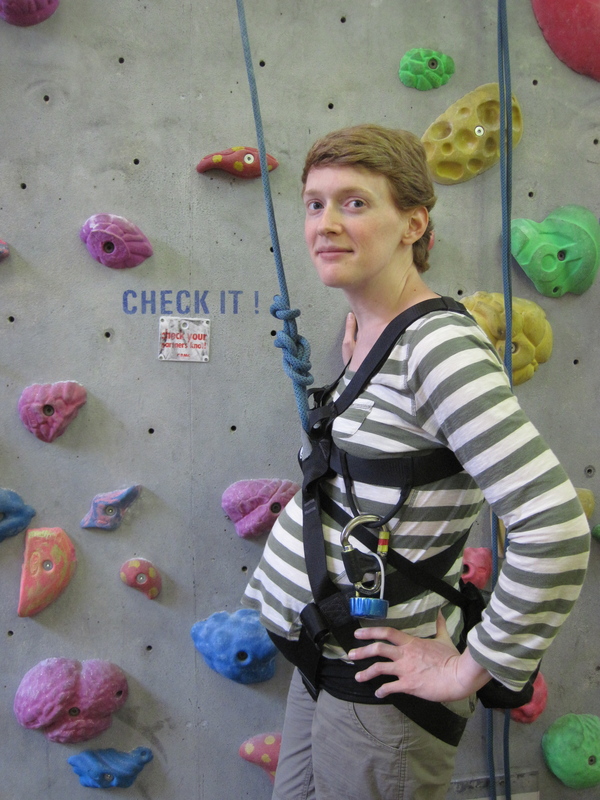 Ready to climb with Bump. 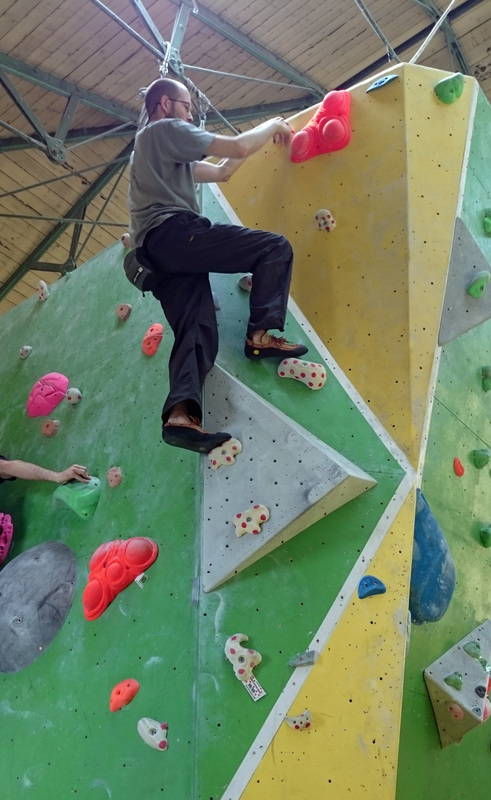 Earlier this week, with waves of rain sweeping over North Wales ruling outdoors rock climbing out, my fiancée and I decided to try the new Beacon Climbing Centre near Caernarfon. We were impressed. 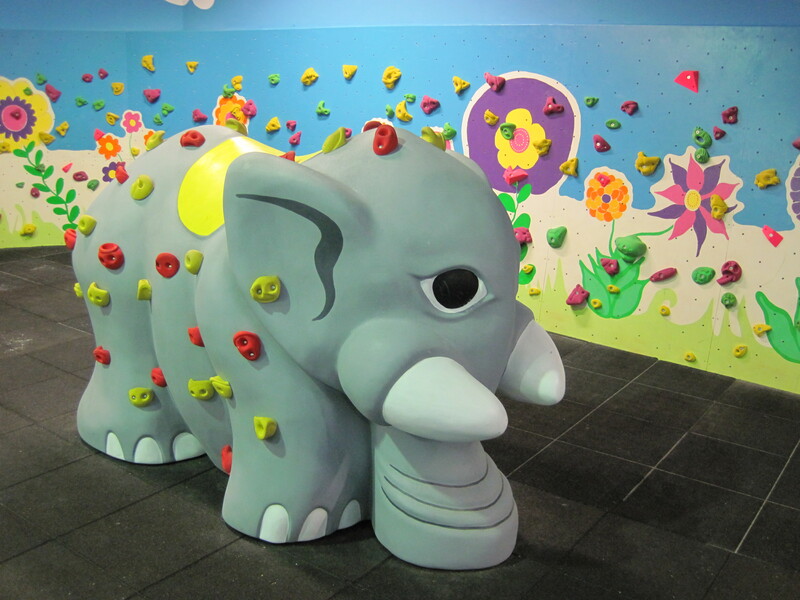 Tommy the bouldering elephant in the dedicated kids area at the new Beacon Climbing Centre.